YOU GUYS. Omg. 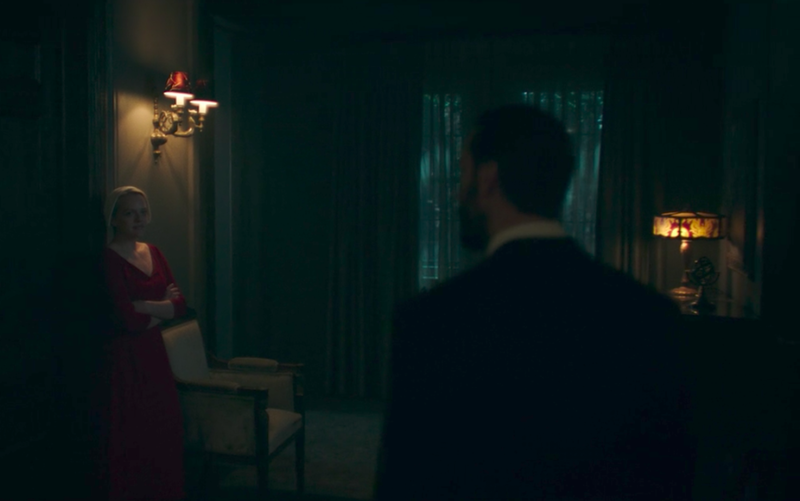 Can we talk about the set design of The Handmaid's Tale on Hulu? It's like Restoration Hardware met dystopia and I DIG IT. 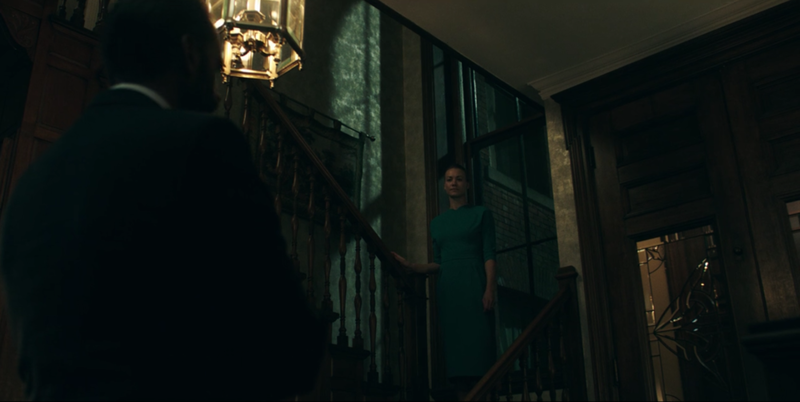 Major props to the set designers/decorators (not totally sure what the difference is between a set designer and a set decorator, but I'm guessing it's similar to the difference in an interior designer and an interior decorator). ANYWAY... let's get to the good stuff. I'm only including the "pretty" sets, so no supermarket, Red Center, doctor's office. Favorite parts of the dining room: the wallpaper and chandy, duh. I wish we go to see more of it. I think my favorite room. Absolutely love the combo of the green molding and cabinetry with the brick and the white counter tops. The copper and brass accents. The plantation shutters. LOVE IT ALL. I think my favorite. 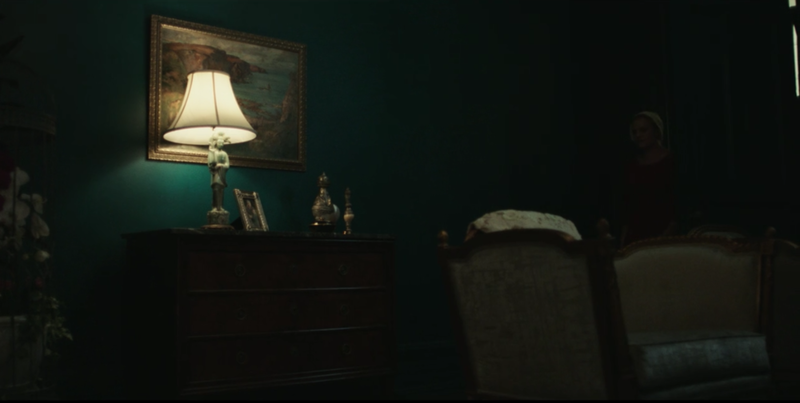 The peacock green built-ins give me LIFE. So sparse but I'd live there. This is so wonderfully awful I had to include it. I made this for a client recently, so I wanted to share. Enjoy! This mudroom I recently designed was featured on Swatchpop so I wanted to share! You may have noticed that wallpaper is having a moment right now. It is such a fun alternative to paint. I've been seeing a lot of spotted wallpaper lately so I wanted to share a few of my favorite sources. Enjoy!